Sometimes you want to keep a copy of something you’re looking at on your computer or phone screen but it’s not a file that can be saved or website that can be bookmarked and replicated in exactly the same way. For example, maybe you’re having computer problems and you want to send a picture of exactly what you’re seeing on the screen to some tech-savvy person who might know what’s going on. Another example: Your husband sends you a text message that resulted in a hilarious and incorrect auto-correct. You want to share a copy of the conversation on Facebook so all your friends can laugh along. A screenshot will do the trick. Your keyboard likely has a key that says “PrtScn.” Once whatever you want to capture is on your screen, just press the Shift and the PrtScn keys simultaneously. It will seem like nothing happened, but really what you did was copy the image on your screen to the clipboard. From there, you can paste it somewhere else using the keyboard shortcut that involves pressing the “Ctrl” or Control key in combination with the “v” key. But there’s a better method, using the Snipping Tool. 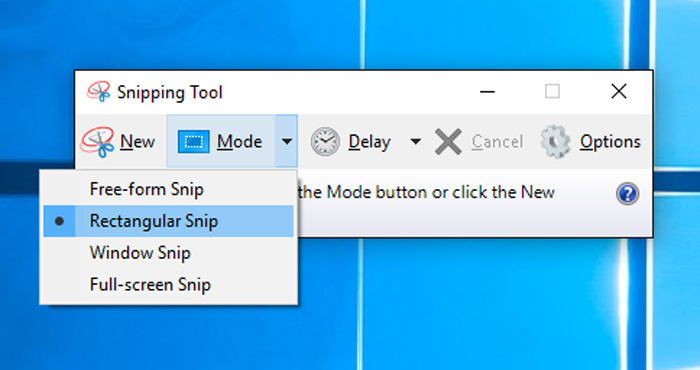 The easiest way to open Snipping Tool is to type “Snipping tool” in the Windows search box. Once you click on the Snipping Tool, a window opens and a white overlay appears on your screen. Click on the “New” pull-down arrow to choose what kind of screen capture you want: Free-form snip, rectangular snip, window snip or full-screen snip. Pick one, and for the first two options click and hold your mouse while you pull it around the area you want to capture (the other two involve just a click). What you’ve grabbed will show up in a window where you can save, copy or share it, as well as mark it up with a pen or highlighter. Check out more tips on using the Snipping Tool. Like the Windows Snipping Tool, Mac OS X lets you capture your screen in several different ways, but instead of using a PrtSrn key or a dedicated tool, you use keyboard shortcuts that begin with pressing the Command and Shift keys at the same time. To capture a portion of your screen and save it to your desktop, press Shift+Command+4, which will bring up a cross-hair. Click and drag the mouse over the part of the screen you want to capture. To save it to your clipboard instead of the desktop, press Shift+Command+Control+4. Then you can paste it into another program. To capture your entire screen and save it to the desktop, press Shift+Command+3. To save it to the clipboard instead, press Command+Control+Shift+3; then you can paste the image somewhere else. To take a screenshot of an open window, press Shift+Command+4 and hit Spacebar. Your cursor is now a camera that you can click over the window you want to capture. The image is saved to the desktop. There are two ways to capture a screenshot on your Chromebook. You can either press Ctrl+Show windows (the Show windows key looks like ) or you can press Ctrol+F5. To capture a portion of the screen you can either press Shift+Ctrl+Show windows or Shift+Ctrl+F5 and the click and drag to highlight the area you want to capture. With most Android phones, you take a screenshot by simultaneously pressing the Power button and the Volume Down button. You'll see a notification that a screenshot was taken and you can choose to share it from there. 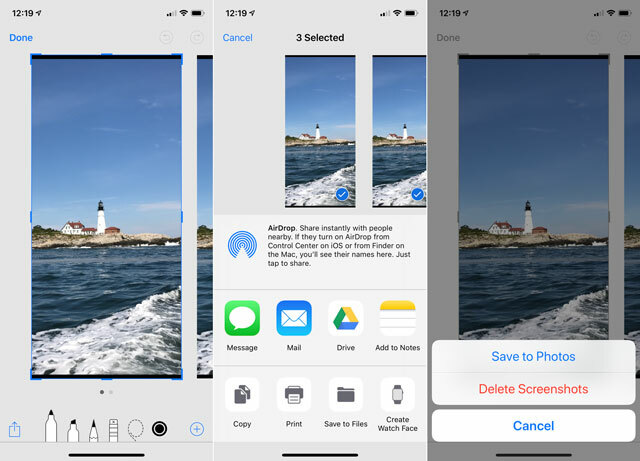 Or, access your screenshots from your Photo or Gallery app on your Phone. If you don't see the screenshot as your last shot taken, look for a separate folder labeled "Screenshots." Snapping an image from your iPhone is easy. For iPhone models with a home button, click (not hold) the home button and power button at the same time. For iPhones without a home button (iPhone X, XS, XS Max and XR), press the Power button and Volume Up button simultaneously. When you first take the screenshot, a preview of the picture comes up in the lower left corner. If you tap on it, you'll be taken to an editing app that enables you to add text and crop the image, among other things, and then send it. If you don't do anything, the screenshot saves to your photo camera roll where you can share it via email or text.